(GRFT) Graft has been around since Mar 9th, 2018 and runs separately from a reserve bank or single administration. 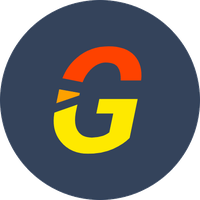 Graft, a decentralized cryptocurrency, follows the CryptoNight algorithm along with the proof of work (pow) consensus. For the latest from Graft, you can find them on social networks, such as Facebook, Twitter, Telegram and Reddit. We don't have any cloud miners listed for Graft yet, check back soon! We don't have any exchanges listed for Graft yet, check back soon! Visit our full graft mining calculator. We don't have any wallets listed for Graft yet, check back soon! We don't have any debit cards listed for Graft (GRFT) yet, check back soon! Mainstream the Cryptocurrency — Join GRAFT Blockchain! We don't have any price charts listed for Graft yet, check back soon!